After six months of living in Paris and being enrolled at the prestigious Le Cordon Bleu in Paris, France, I have graduated with a Diplome of Patisserie. If you are interested in pastries, food and daily life in Paris, please follow me on FaceBook. Weekdays and weeknights are available by request...although those classes are harder to fill. ​If you have 5 people, then YES we can confirm your private class. 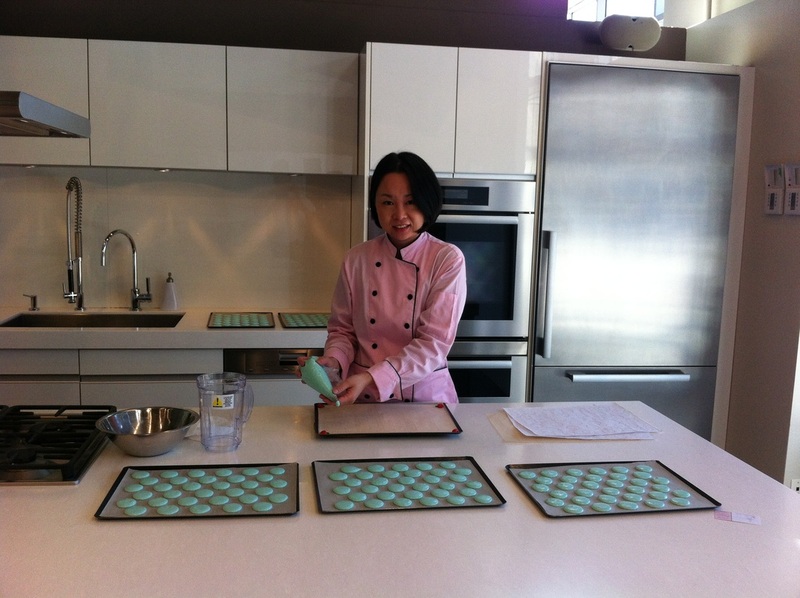 The French Macaron class consists of demonstration by Chef Connie and hands-on by the students as well. Small intimate class of up to 6 students. The French Macaron class consists of demonstration by Chef Connie and hands-on by the students as well. Small intimate class of 5-6 students. (The actual # of macarons is dependent on the size of them. If you make them larger, then you'll get less than 20. If you make them a uniform size, then you'll take home 20 macarons per student). A cup of tea along with 2 Parisian macarons per person will be elegantly served at the beginning of the class, with tasting sample of dark Valrhona chocolate too. WHAT: 4 hour part demo and part hands-on baking class for 5 or 6 people max. $120 per person (Cash or e-transfer, no cheques). I will email you requesting a $60 desposit by paypal once the class is confirmed with min. 4 people. Once you have paid this, then your spot is confirmed. Change of dates are NOT allowed after you have booked. WHERE: Private clean home kitchen. Non-smoking and pet-free. One block away from the King Edward Station on the Canada Line, in Vancouver, BC. (I'm proud to say that you can get here directly from the Vancouver International Airport) in less than half an hour on ONE train or 10 minutes from downtown Vancouver. WHEN: My time is flexible, please email me with your preferred date and time for your Private French Macaron Baking class. 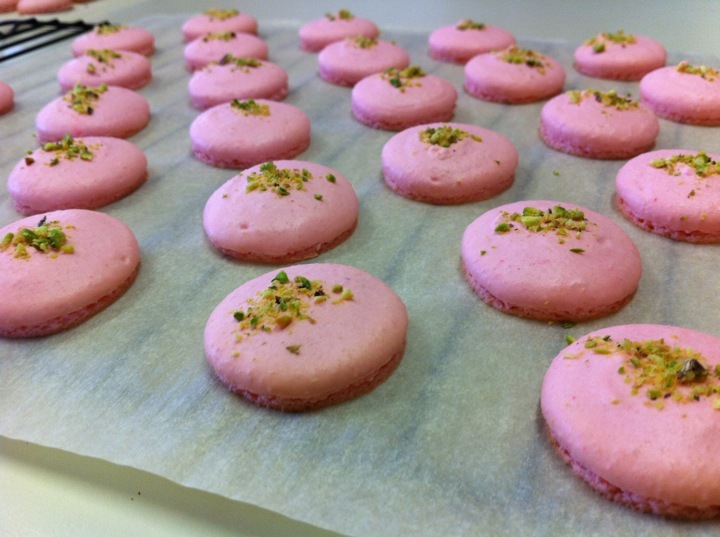 You can specify the flavour & colours of macarons that you would like to make. Kindly book at least 1 week in advance so that I can buy all the necessary supplies. I am happy to teach classes from 11 am - 10 pm at the latest. Please advise which day and time you would like and the names of each person you would like to sign up for. Max. 5 - 6 people per class. Attention all previous students! Have you mastered making and baking of the Macaron shells? If you have, hurry to sign up for my Fabulous Fillings Class. Date and Time to be announced. Only 5 spots available. $120 per person. I'll assign a color for you to make and you'll bring the 200 shells to class to be filled.